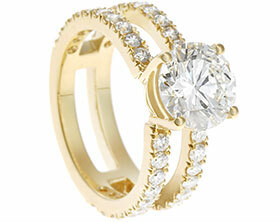 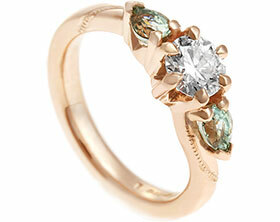 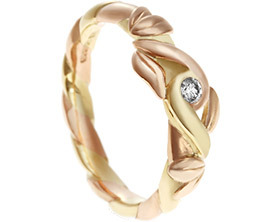 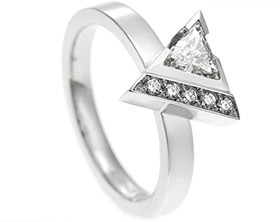 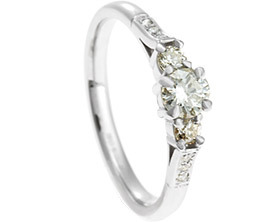 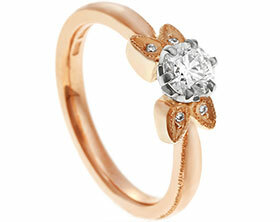 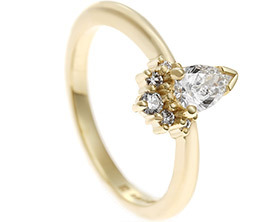 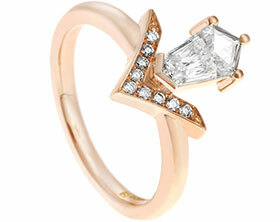 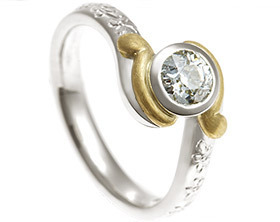 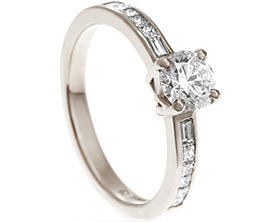 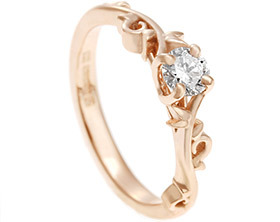 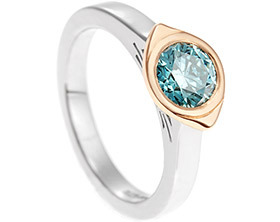 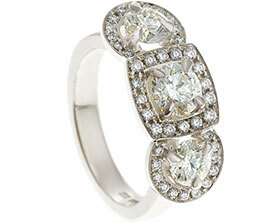 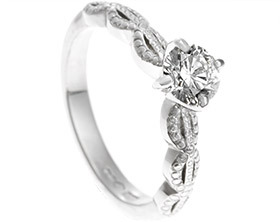 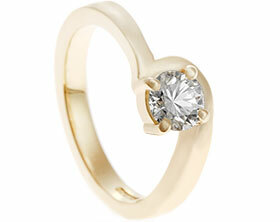 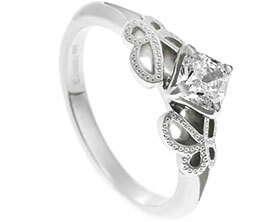 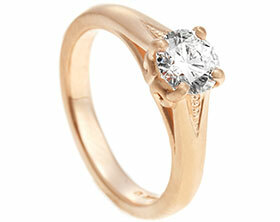 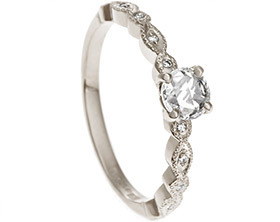 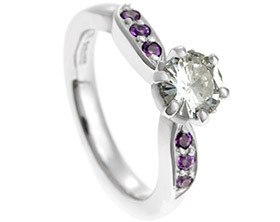 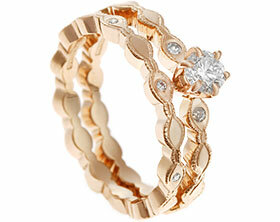 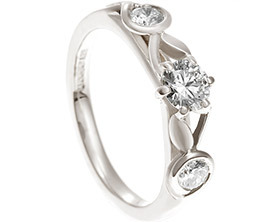 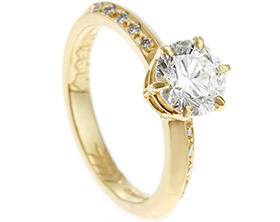 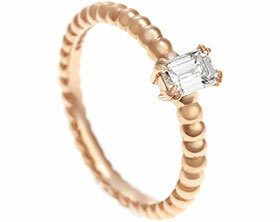 This sweet engagement ring is perfect for the lady who likes low-key design. 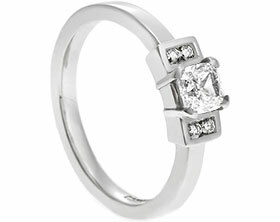 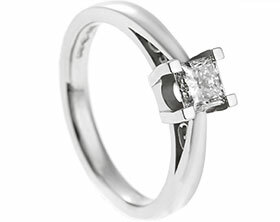 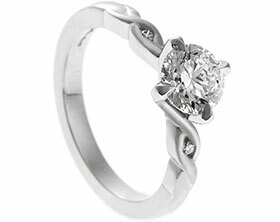 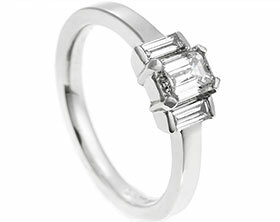 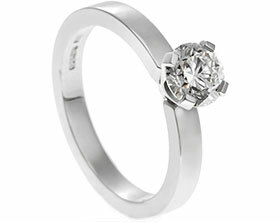 The natural 9ct white gold contrasts against the bright white 2mm (0.03ct) H SI brilliant cut diamond which glitters beautifully in the metal. 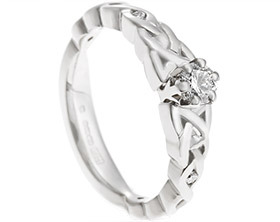 There is engraved detail around the stone to give the impression of an all around setting and the band gently nips in around the stone to draw your eye into it. 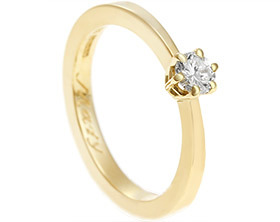 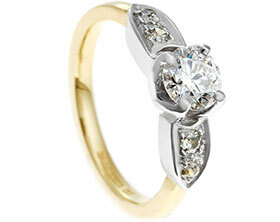 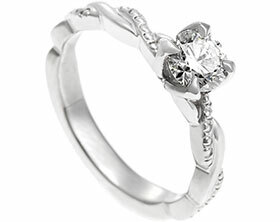 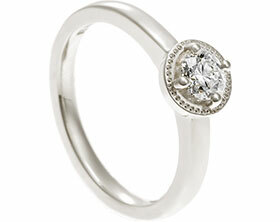 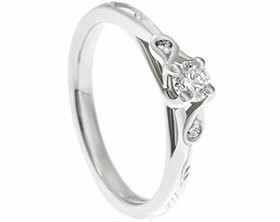 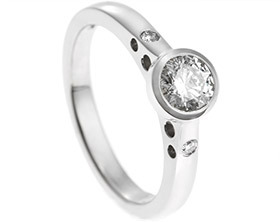 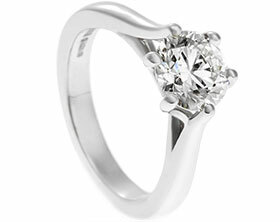 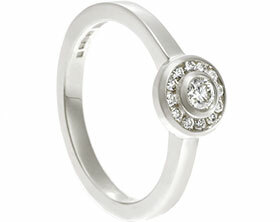 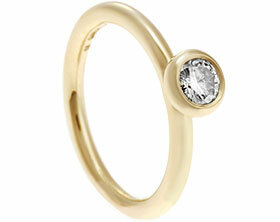 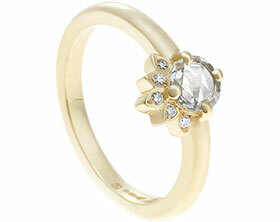 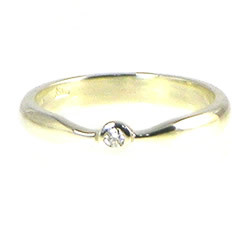 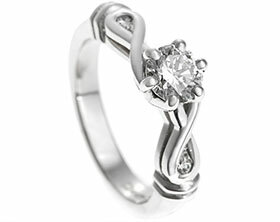 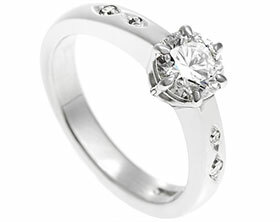 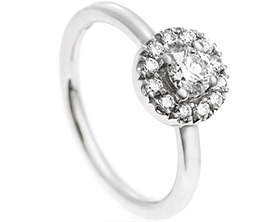 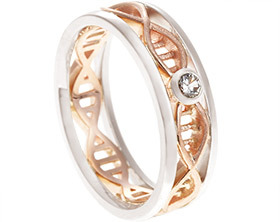 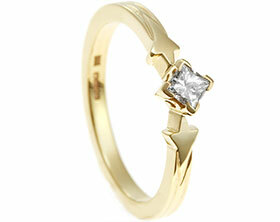 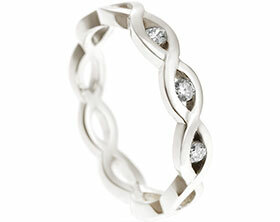 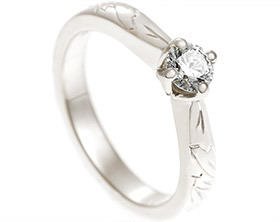 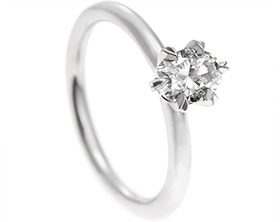 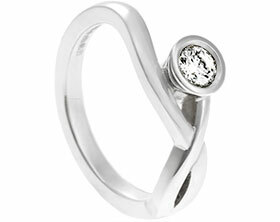 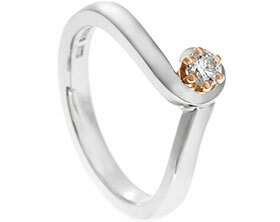 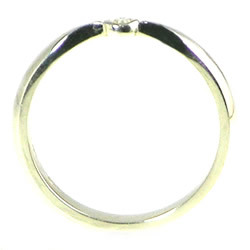 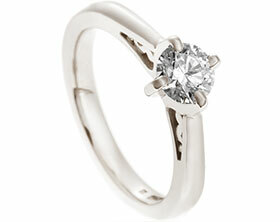 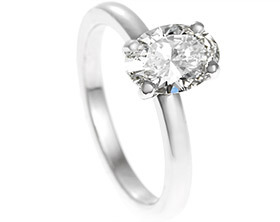 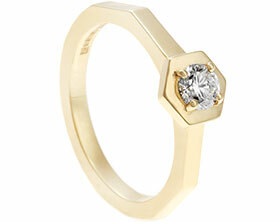 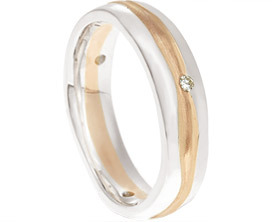 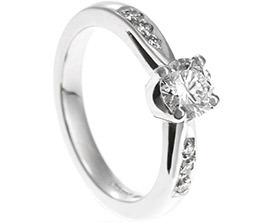 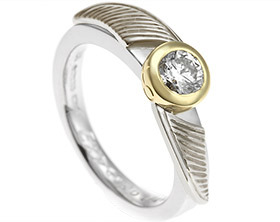 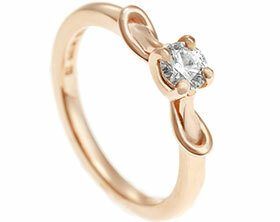 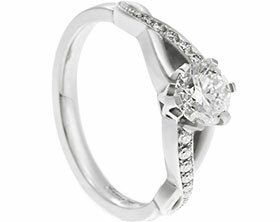 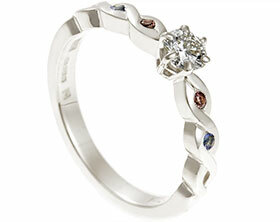 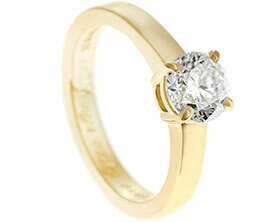 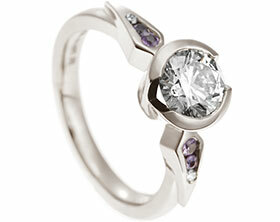 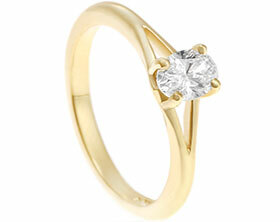 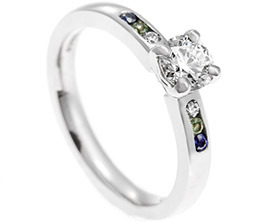 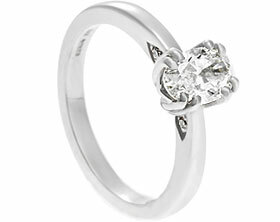 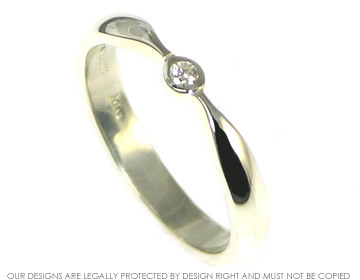 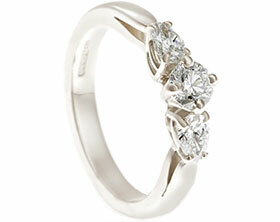 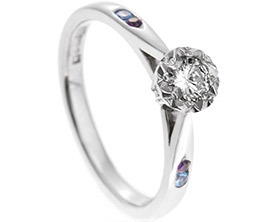 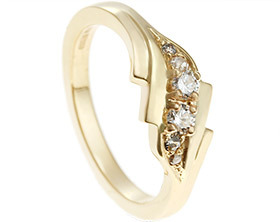 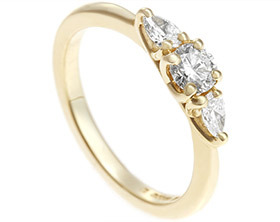 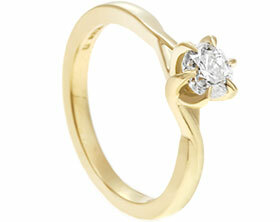 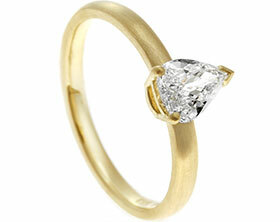 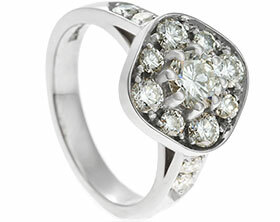 This ring measures 3mm wide and has a D shaped profile and polished finish.